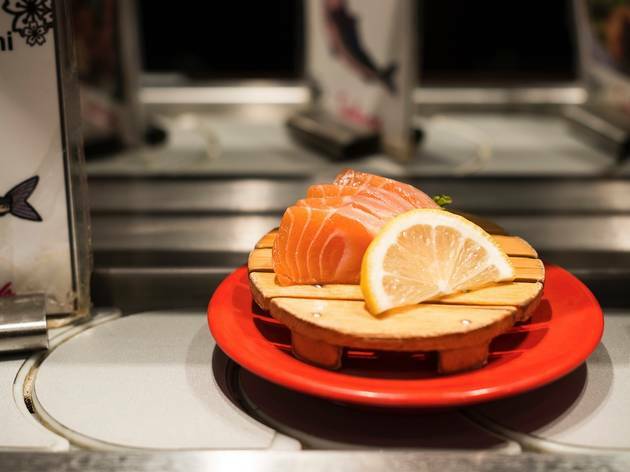 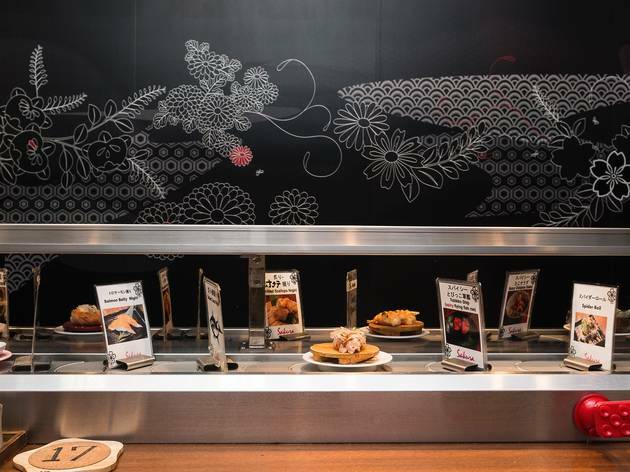 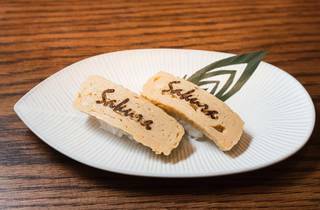 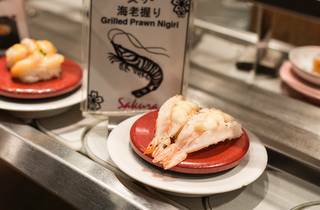 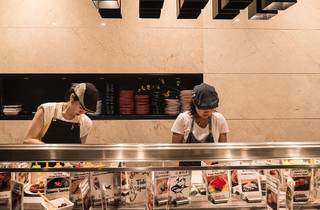 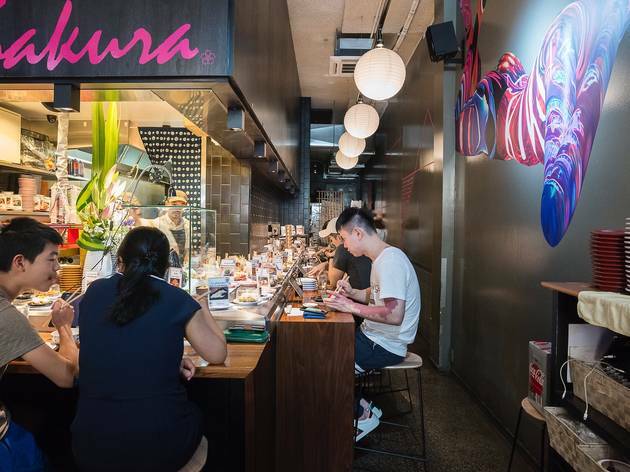 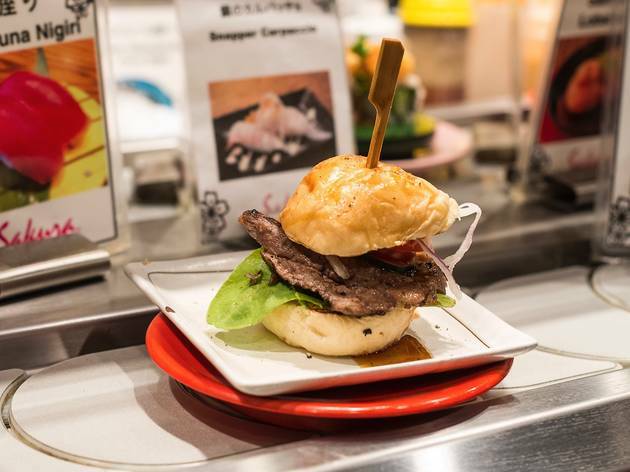 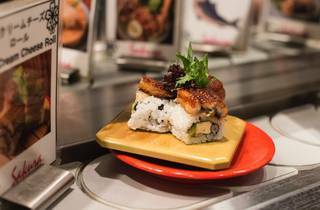 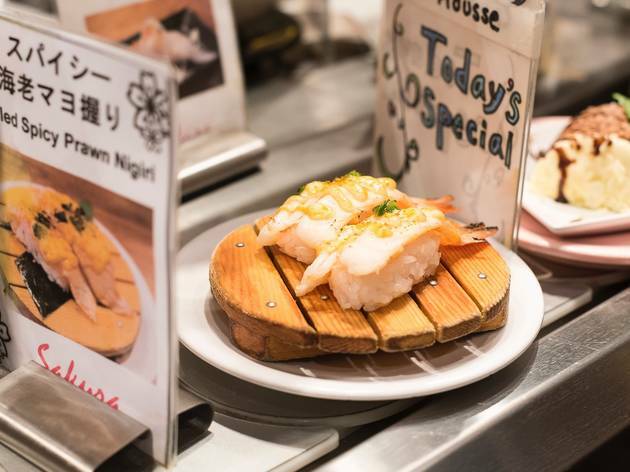 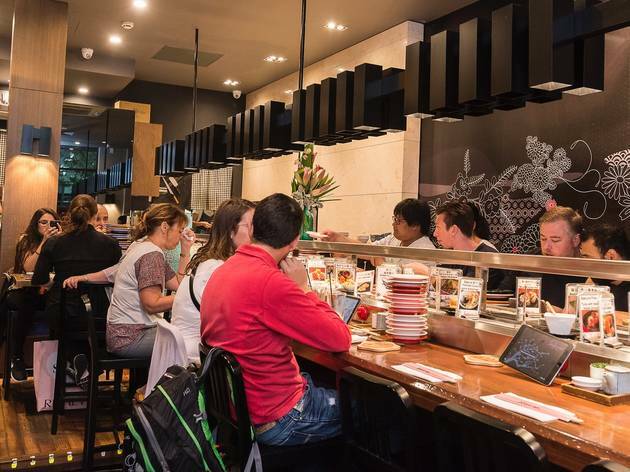 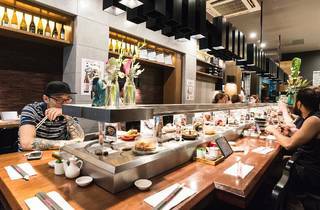 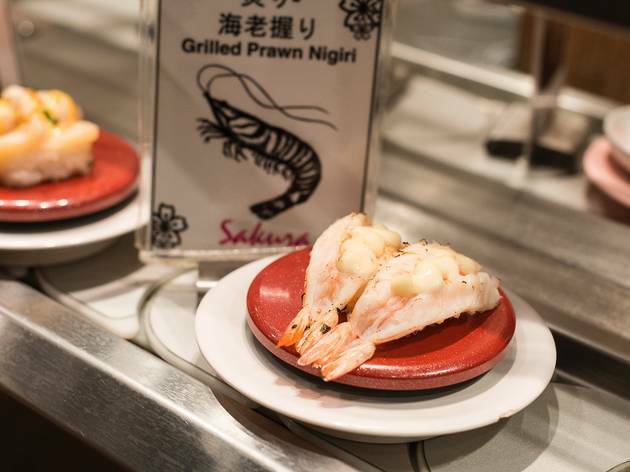 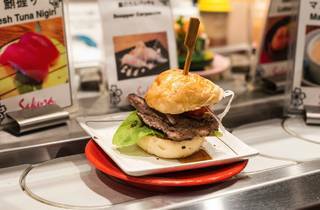 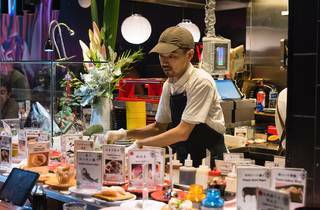 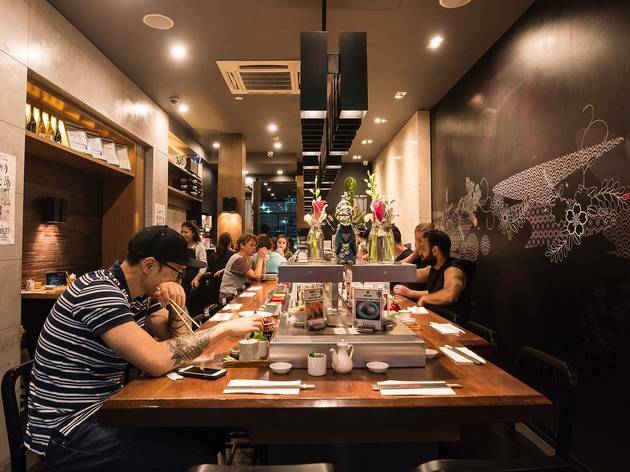 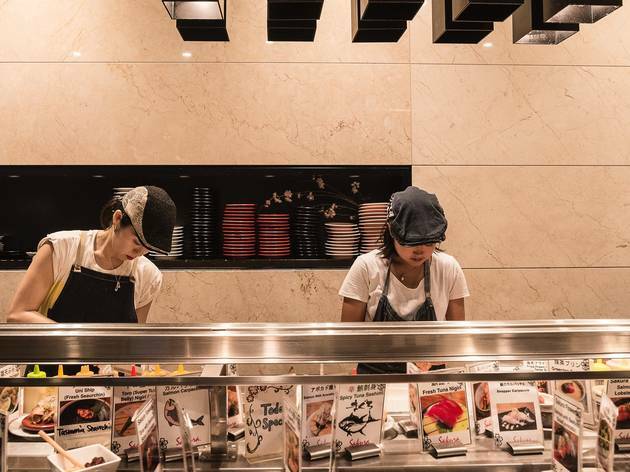 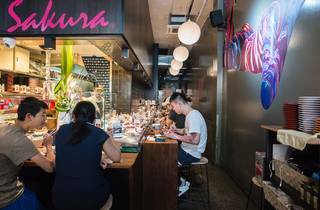 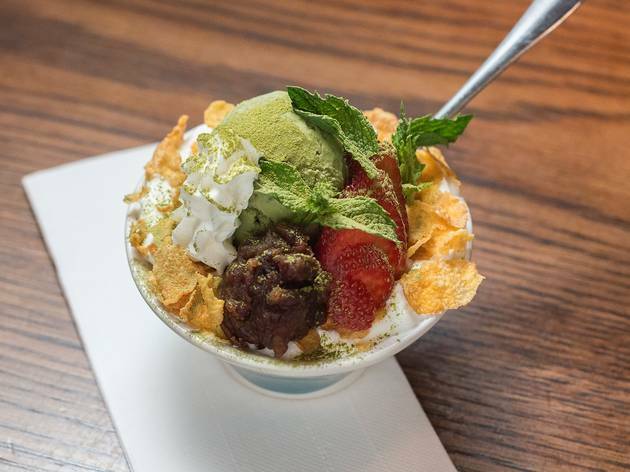 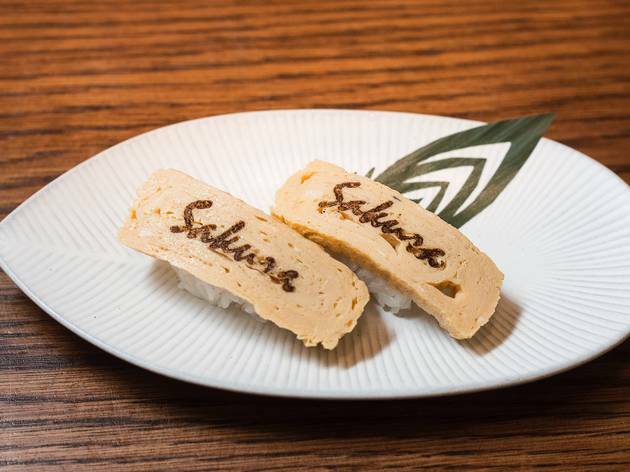 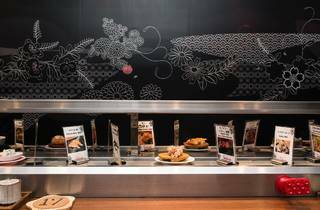 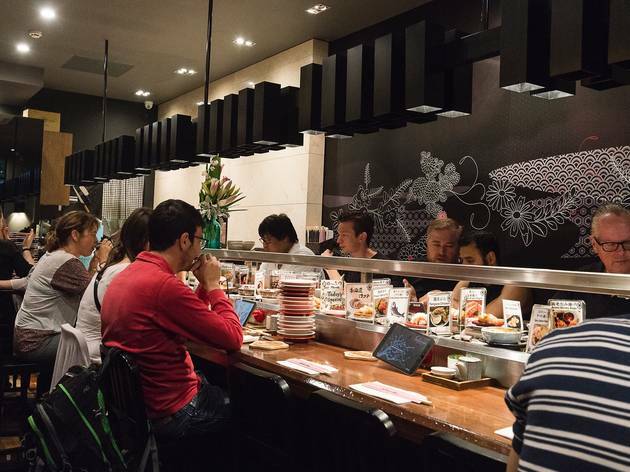 Sakura Kaiten Sushi strives to be as recognisable as the cherry blossom for which it is named. 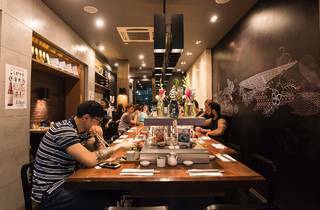 The restaurant is low lit, with the white cherry blossom designs against the shiny black walls giving the venue a sleek modern vibe. 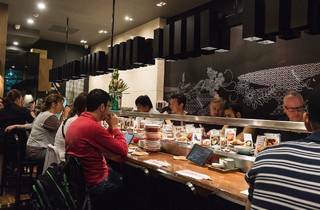 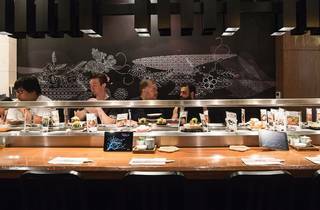 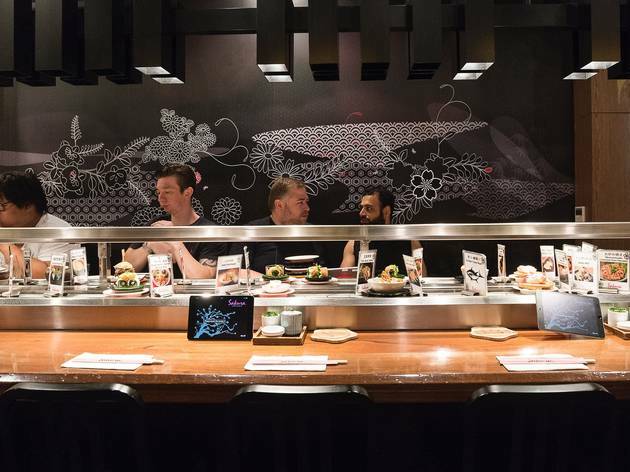 The space is narrow and almost all of the seating puts you right where you want to be: in front of the sushi train. 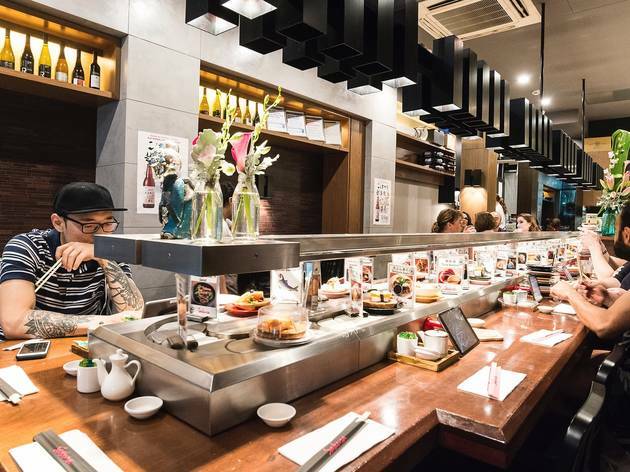 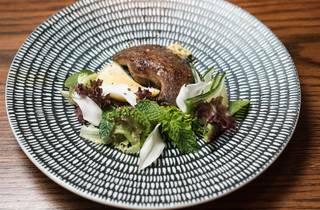 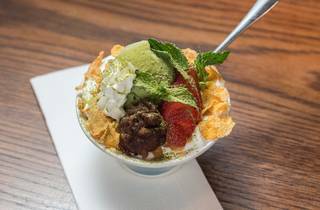 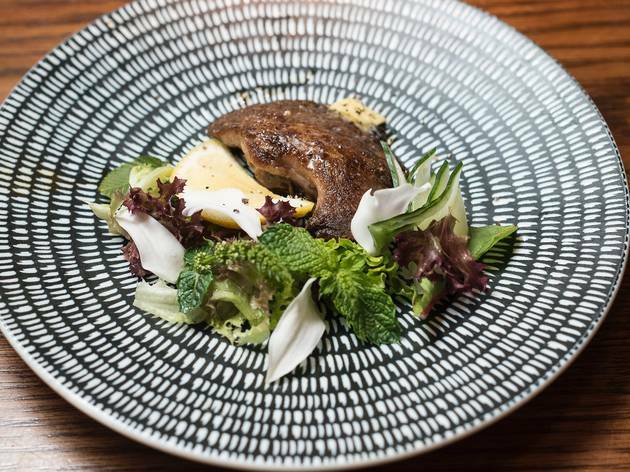 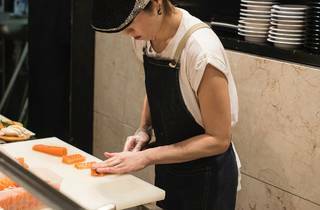 Any seat gives you a clear view of the kitchen, where you can watch the chefs deftly cut and assemble each dish before placing it on a carriage plate, denoting price bracket in the age-old system of colour coding – at the base end it’s $2.80 for orange and $6.80 for the deluxe red plates. 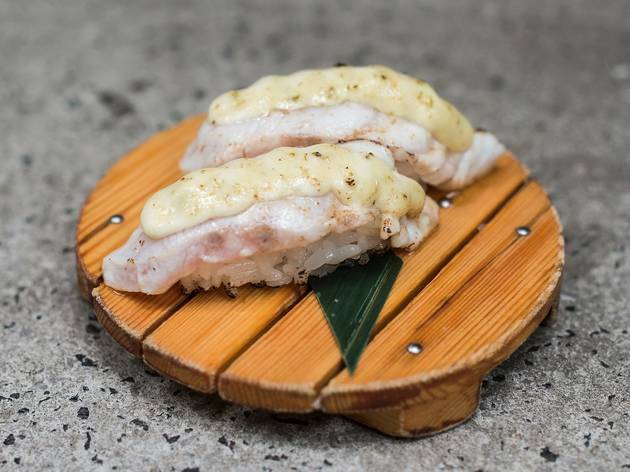 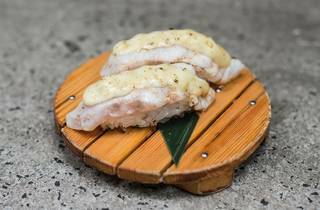 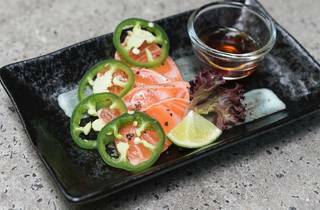 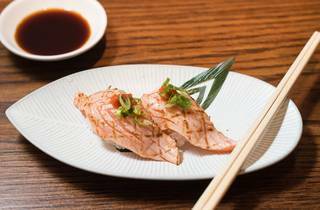 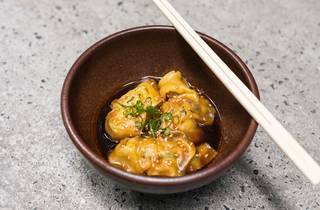 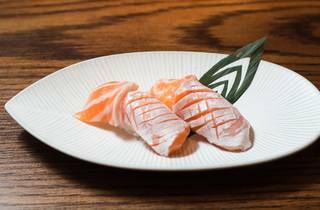 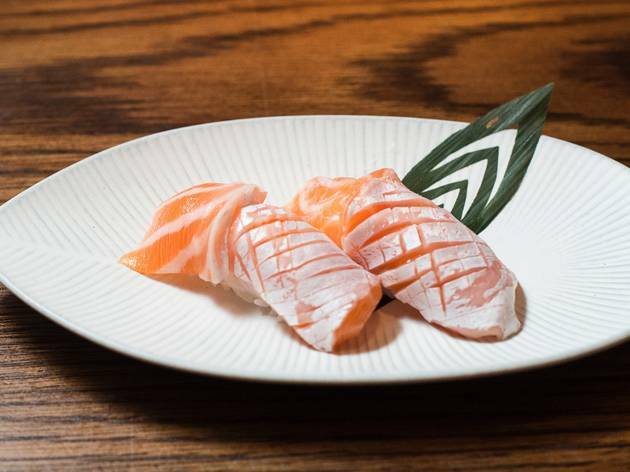 Expect high-quality versions of the classics: the mixed sashimi plate comes with salmon, tuna and kingfish; and the grilled snapper with basil nigiri is a standout for it’s combination of soft fish and tangy seasoning. 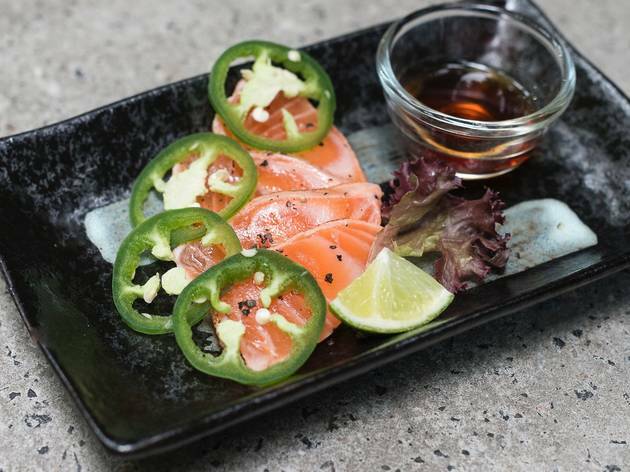 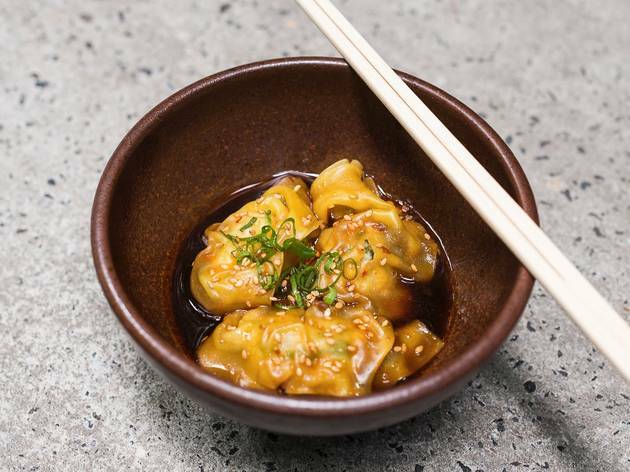 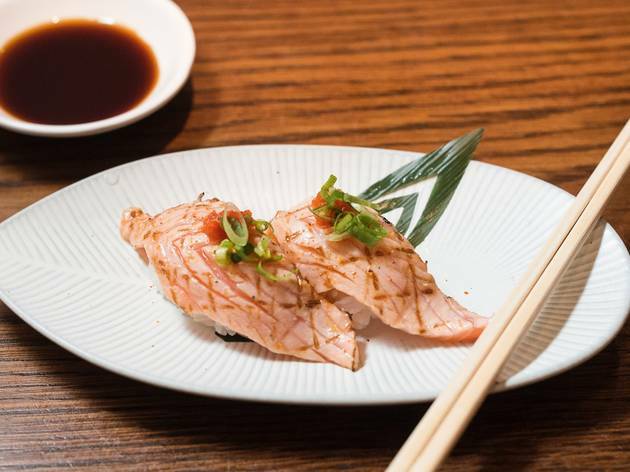 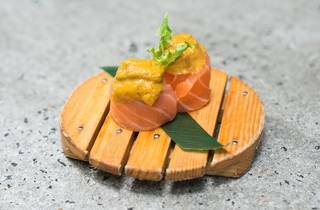 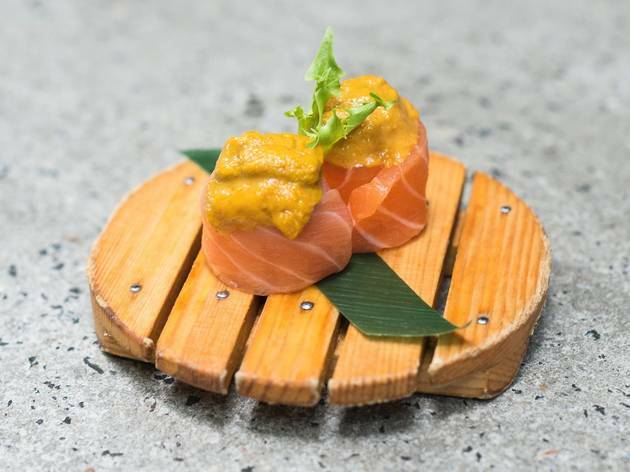 For the more adventurous, the salmon with sea urchin roll is a mouthful of aquatic luxury, with the intense sea urchin flavour balanced by the cool texture of the salmon. 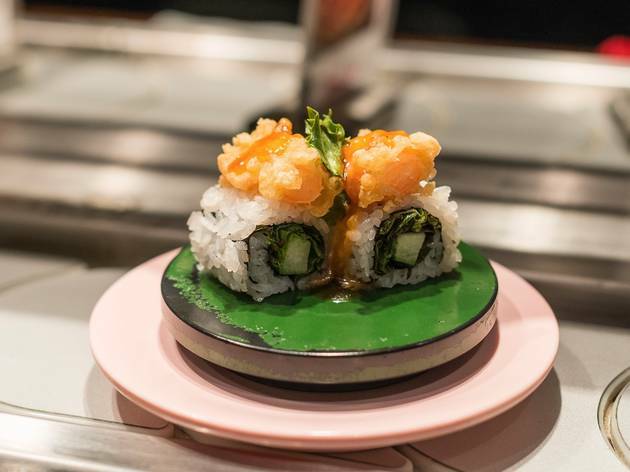 If you’re craving something in particular and are just too impatient to wait for it to appear, you can order extras and hot food via an iPad and have it delivered by express train. 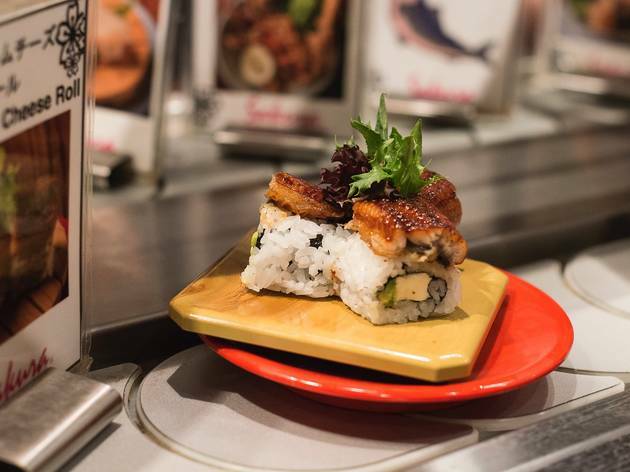 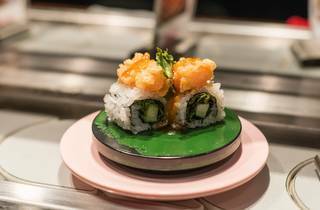 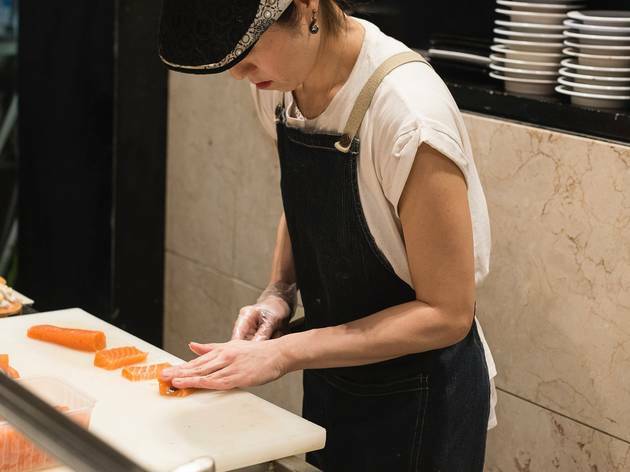 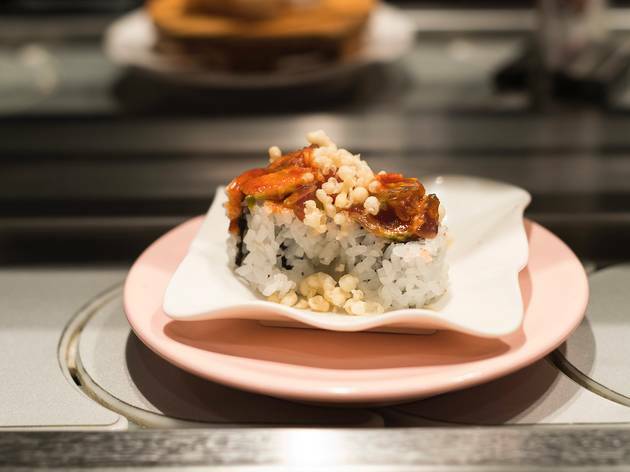 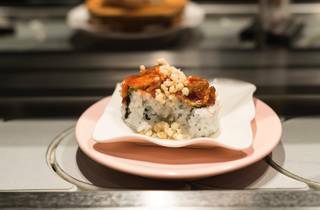 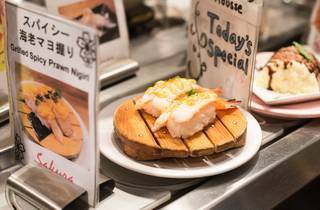 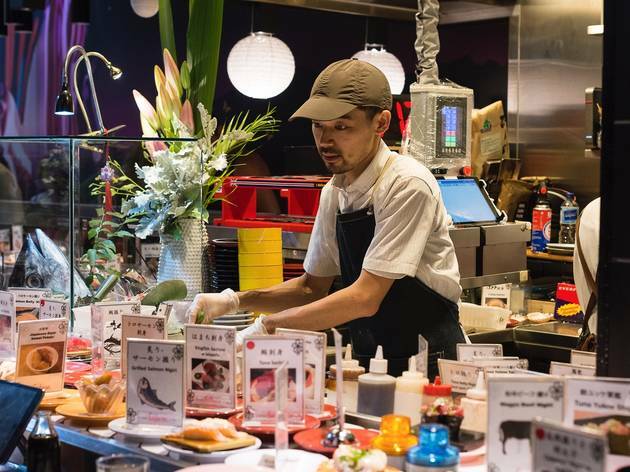 It’s also a great place to take those unfamiliar with sushi trains, as each dish is preceded by a handy label, so you know exactly what you’re eating.